Andy Rubin’s ambitious startup, Essential, is reportedly up for sale. According to Bloomberg, the company has worked on a successor to its debut smartphone, the Essential PH-1 (Essential Phone), but has since canceled it and shifted engineers towards developing a smart home product. While there’s still a chance for the rumored Essential Phone 2 to see the light of day, the new report suggests that the possibility is slim. Founded by ex-Googler and creator of Android Andy Rubin, Essential raised $300 million in its first round of investment. Their first commercial product, the Essential PH-1, was announced nearly 1 year ago. The smartphone was the first device to feature a nearly bezel-less design with a display notch. Delays in the product launch, customer service issues, and a major scandal have rocked the company’s early days. Scathing criticisms of the Essential Phone’s camera quality and the high price didn’t help the phone’s initial sales, either. In the eyes of consumers, Essential’s stellar track record with providing quick Android updates (the phone received official updates to Android 8.0 Oreo, Android 8.1 Oreo, and the Android P beta) and security patches have made the company a fan favorite. Price cuts, new colors, new accessories, and wider availability have given the sense that the company isn’t giving up on its Android ambitions. But sales numbers paint a different picture: A report from the International Data Corporation (IDC) states that the Essential PH-1 only sold 88,000 units in 2017. The President of Essential refuted the report by stating that the smartphone sold “in the six figures” in 2017 but did not provide an exact figure. A source told Bloomberg that the company has sold 150,000 to date. Bloomberg reports that the company has lost “dozens of hardware and software engineers as well as top executives.” The publication cited Brian Wallace, the original vice president of marketing, and Joe Tate, the head of hardware engineering, as examples of Essential’s inner turmoil. What’s in store for Essential? Reportedly, the entire company, including its patents, hardware products, an upcoming smart home device, a camera attachment for the PH-1, and the company’s engineers, are potentially up for sale. A deal hasn’t been made with another company yet, though. 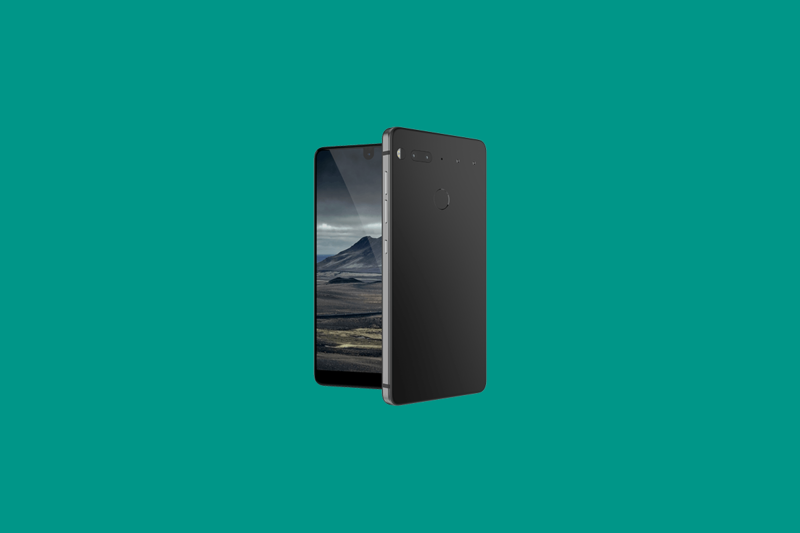 Unfortunately for fans of the company’s hardware products, the rumored Essential PH-2 (Essential Phone 2) has been canceled. Instead, the company has shifted its talent and resources to finish its smart home product which is set for release next year. A silver lining: According to Bloomberg, if Essential manages to find a manufacturer other than Foxconn the company could return to the smartphone business. Our take: The cancellation of the second generation Essential Phone saddens us. Essential’s openness in communicating with its users on forums such as /r/Essential on Reddit, their embrace of Google’s Project Treble, and same-day security patch updates have made the company a highly respected brand among Android enthusiasts. A loss of choice in the flagship smartphone market, especially from Essential, will be a blow for Android enthusiasts looking to make their next smartphone purchase. CEO of Essential, Andy Rubin, has posted a statement on his official Twitter account, essentially confirming the report. The tweet confirms that the company has canceled some products, but does not specify which ones have been canceled.